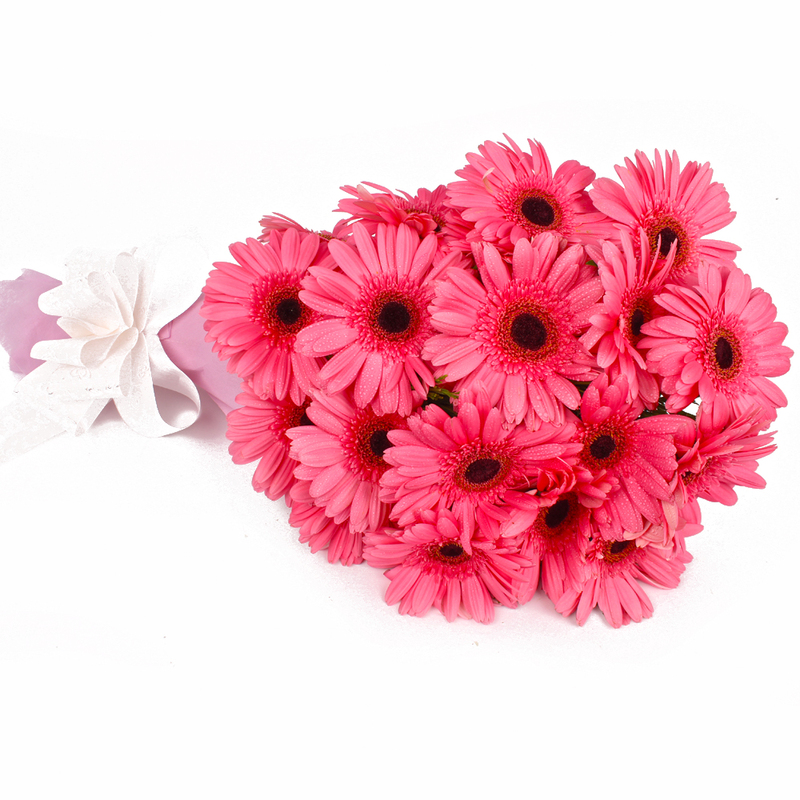 Product Consist : 20 Stem Pink Gerberas with green fillers in Tissue Wrapping with Ribbon Bow on it. Checkout this extraordinary gift item which is all set to elate the one you adore on this Valentines Day. 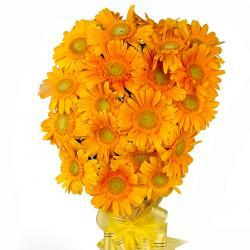 The Gerberas are neatly wrapped with matching Tissue paper and bow tied with ribbon. 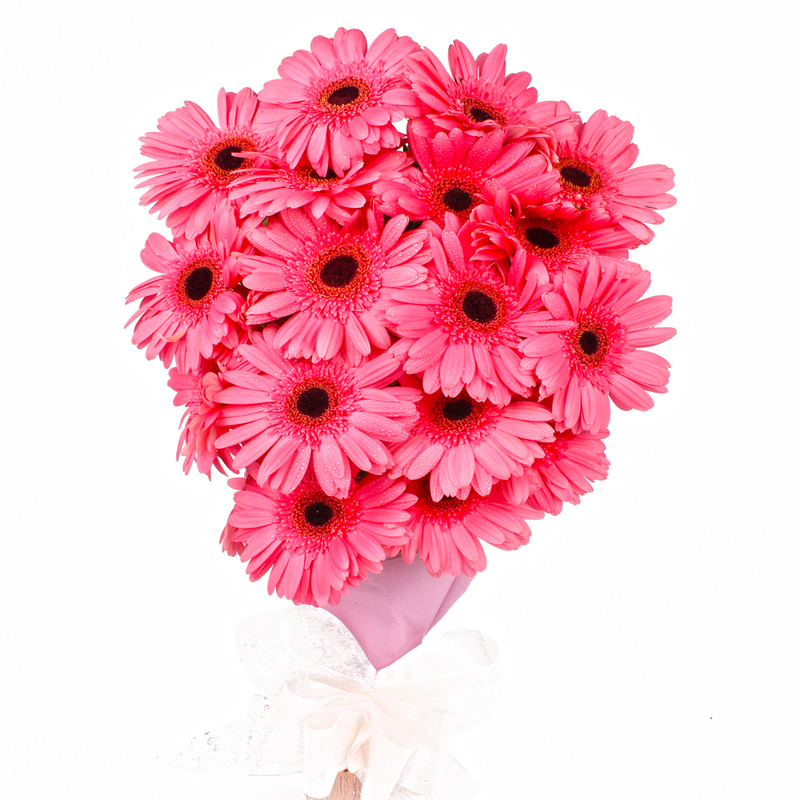 Pink Gerberas symbolize cheerfulness, purity and innocence. 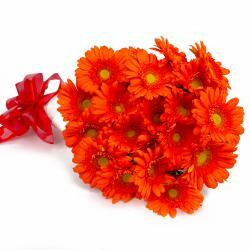 This gift item is perfect for gifting your Valentine this year. Express your feelings by gifting this amazing gift item to the one you love on this Valentines Day and make him / her feel special. 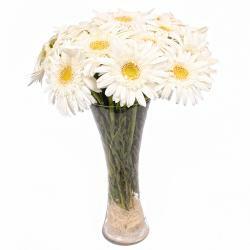 You can also use this bouquet on various occasional gifting like Birthday, Anniversary, Get Well Soon, Lohri, Fathers Day etc. 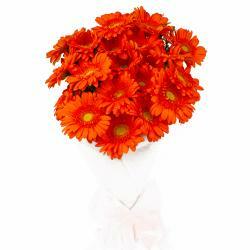 Product contains : 20 Stem Pink Gerberas with green fillers in Tissue Wrapping with Ribbon Bow on it.